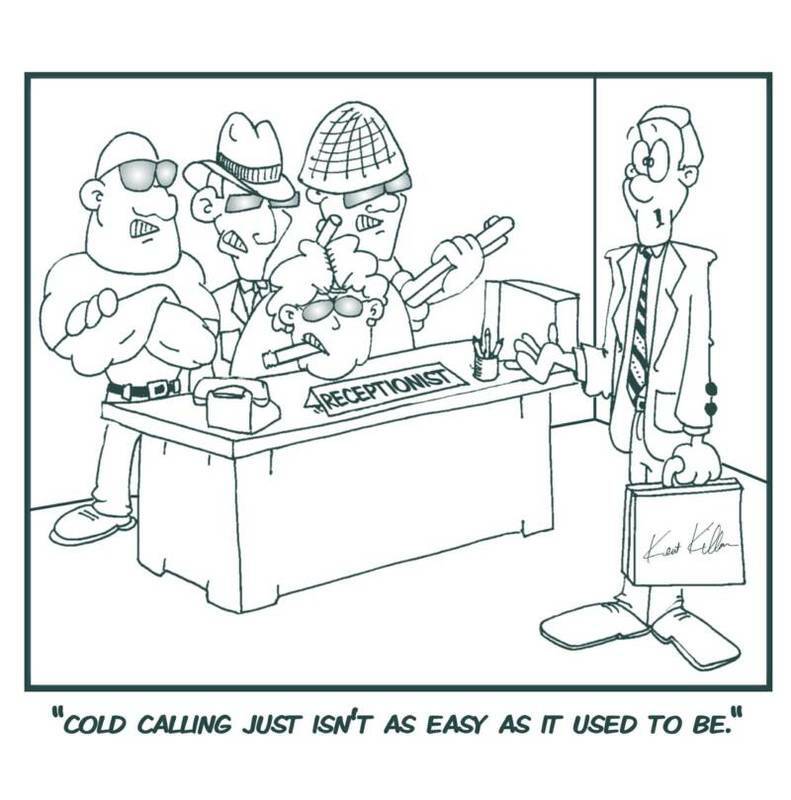 Let’s be honest, very few people like cold calling. Unfortunately, new startups do not necessarily have a sales department to do it for them. Therefore the founders must find a way to get in contact with potential customers, potential investors or partners, and eventually it will be on the phone. I had the chance to do this job for long enough to be comfortable calling prospects directly. So in this post, I decided to share some tips and tricks of the trade about how to make cold calls in order to obtain face-to-face meetings. First of all, remember not to get scared or tensed; try to put yourself at ease before calling. Whatever happens, just remain professional, and everything will be ok. Remember also that the interlocutor will sense your body language. It may sound surprising, but it is actually possible for your interlocutor to detect through your voice whether or not you are smiling during the call. So you should smile. Now, if your goal is to schedule a meeting, you shouldn’t spend too much time on the phone. Don’t try to explain everything. You should stick to the point, and ask for what you want as fast as possible. If you don’t get the meeting, don’t be afraid. Even veteran cold call professionals get rejected regularly. One thing is sure though, conversion rate increases with practice. "We don't have any need"
"Well, at this stage it's actually not a problem, and that's even better. I would like to meet up with you because we work in the same field of activities and, as you know, it's a field in evolution. New technologies are being developed like for instance...(cite 2 references...)." "I understand completely. We share the same problem. I always have to fight with my agenda too. If you tell me the main challenges of your department at this moment, I'll prepare a presentation around them in order to keep it short and efficient. I think we can have it done in under 45 minutes." If the client insists saying no: "Ok, no problem, actually, next week I'll be over that way, so what about meeting up for coffee, so that at least you can put a face to my voice?" "Send me the presentation of your company"
"I can certainly send you our presentation, but it will take more time for you to read it than for me to explain it to you. Moreover, we have activities that are very varied, and it will be difficult to make a presentation that clearly focuses on your challenges. That's exactly why I would like to meet with you, in order for me to explain our activities, understand what you do, and see if we can collaborate either now, or in the future. "We already work with other companies"
"That's a really good thing. It's clear that in this difficult period, it's really important for companies to trust their partners. At the same time, I think it's also important in this period of rapid change, to give your company everything it needs to be successful. Thus, not meeting up could be a missed opportunity, and we both don't want that." "It's clear that given the economic context, it's not the best time for investments. At the same time, the economy is still growing, although very slowly. And we both know that investing in innovative projects at the right moment creates your future competitive edge. This means that timing is important. Thus, I think it can be interesting to meet up so we're ready to further collaborate when the time for investment comes." "What exactly are you not interested about? Can I ask you something; are you completely satisfied by the way things work in you department/company? Do you think that there are points that could be improved?" If he says "no": there are no needs; if he says "yes": we are creating a need! "What are you going to sell me?" "At this stage I don't have anything to sell at all. My goal is to better know you, and possibly understand your main challenges and needs. Given that we both work in the same field, I might be able to answer some of your questions and help you find solutions by thinking outside the box. Actually, I'm not even a sales guy; I'm an engineer; I manage a team and I can choose which projects I work for." "Where did you find my name?" "It was in our database. I think either one of my colleagues met you at an event some time in the past, or our business development team found you through LinkedIn." Be natural. This is the best tip I can give you. The best sales persons I know were always very spontaneous when talking to their clients, and they were not afraid of making mistakes. I think it’s like dating: the more natural you are, the more attractive you look. It is the same in sales and phone calls. After the call, always send a confirmation by email. It can sound silly, but do not forget to verify the address for the meeting: many people I know ended up at the wrong address! Never underestimate the secretaries of your prospects. They typically hold a lot of influence, and you need them in order to reach out to your prospect. If that secretary doesn’t like your attitude on the phone, you may never get through to the person you want to talk to. So you may want to be charming or friendly. If you have to call back in the future, try to get his/her first name, and always use it in following conversations. This creates a stronger bond. If you don’t have the direct number of the person you target, you should ask the receptionist. Be honest, and ask for help from him/her if needed. They are typically nice. Sometimes just asking "I wonder if you could help me?" will help you find out the information you need, such as the name of the right person to talk to, or the best time to contact him/her. Do your homework before you call; the more you know about your prospect, the more chances you'll have to catch his attention and curiosity. Getting what you want from a cold call is not easy. Nevertheless, don’t give up too easily at the first sign of objection. You should fight to get what you want. But if you feel that your potential prospect is getting angry, then this is the moment to stop bothering him. If you don’t get to schedule a meeting this time, it’s fine to call your prospect every few months. Many people like and reward persistence. In my experience, the majority of sales are done after multiple cold calls. The problem is that most of us stop trying after the first unsuccessful call. If you have a connection in common, exploit it. If he knows that, he will be much more likely to schedule that meeting with you. Here were my tips and some of my best tricks of the trade to get your foot in the door during a cold call, and schedule that first meeting. Feel free to comment on this blog post; I would gladly include your opinions next time.